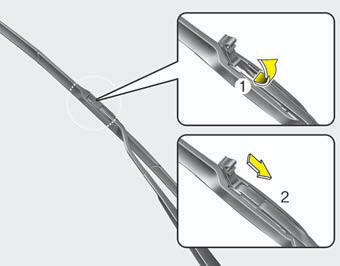 When the wipers no longer clean adequately, the blades may be worn or cracked, and require replacement. 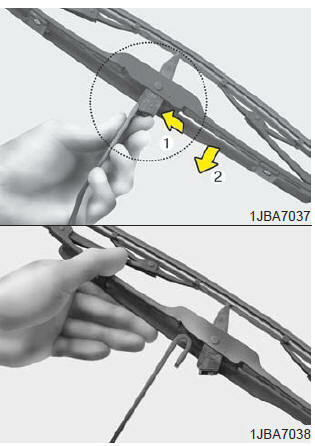 To prevent damage to the wiper arms or other components, do not attempt to move the wipers manually. 2. 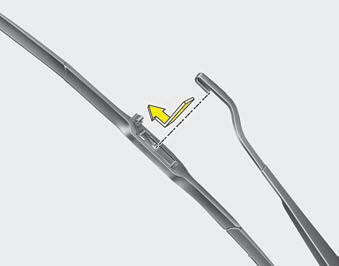 Compress the clip (1) and slide the blade assembly downward (2). 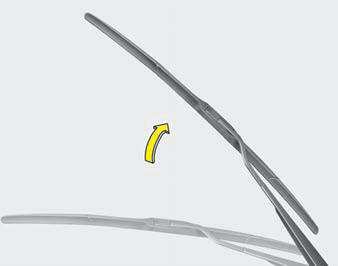 Do not allow the wiper arm to fall against the windshield, since it may chip or crack the windscreen.